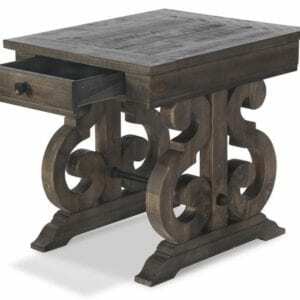 Old World charm abounds in the Bellamy table collection. 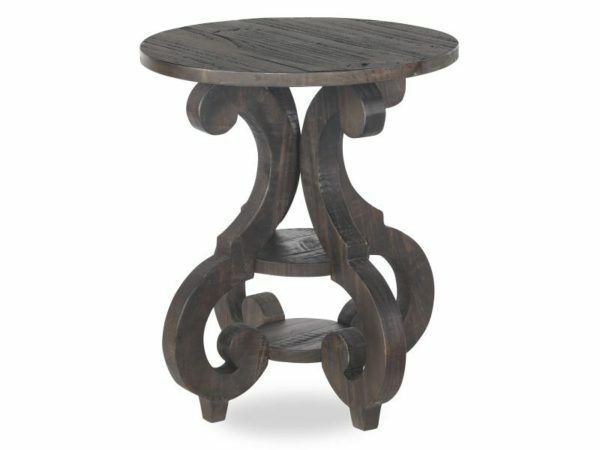 Gracious S-curved carved bases support overlaid solid pine tops finished in vintage inspired Deep Weathered Pine. Antique brass with Pewter overlay metal stretchers and hardware create the perfect accent to set the mood for stunning European influenced elegance.